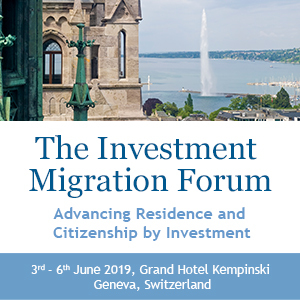 In a notice circulated yesterday, the Saint Kitts & Nevis CIU informs stakeholders that Savory & Partners is no longer a registered International Marketing Agent and may no longer submit applications to the Saint Kitts & Nevis Citizenship by Investment Programme. 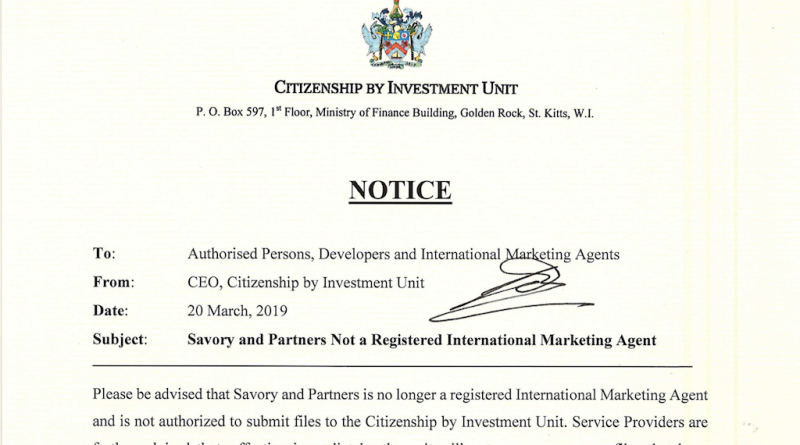 Please be advised that Savory and Partners is no longer a registered International Marketing Agent and is not authorized to submit files to the Citizenship by Investment Unit. Service Providers are further advised that, effective immediately, the unit will not process any new files that have originated from Savory and Partners and that any Service Provider submitting any new files from that entity, may have their local Service Provider’s license suspended. 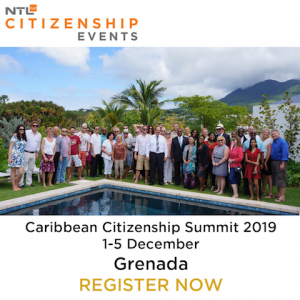 A previous version of this article incorrectly stated that the Saint Kitts & Nevis CIU had revoked Savory & Partners’ license. 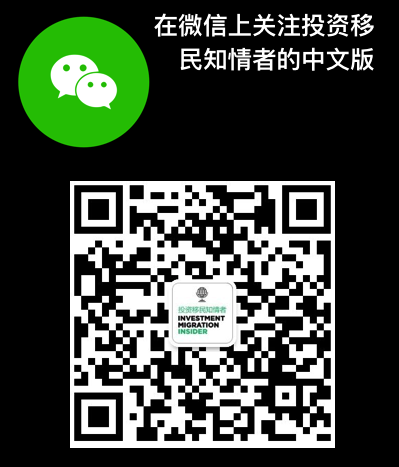 Download the official notice below.